So Two cheers for Democracy: one because it admits variety and two because it permits criticism. Importance! What is it, sir after all? The respect of fools, the wonder of children, the envy of the rich, the contempt of the wise man. In a recent series of tweets and interviews, Donald Trump claimed he was the most popular Republican president of all-time. He even claimed to have surpassed Abraham Lincoln in popularity, at least according to the polls. Since systematic public opinion polling only began in the mid-1930s – and since Lincoln won both the 1860 and 1864 presidential elections it is hard to evaluate his claim – or lend it credibility. Are we dealing then with still another empty boast? There is a way though to evaluate assess Trump’s claim. We can look at the results of the actual balloting and their performances with the voters. In the 1860 national elections Lincoln won the presidency with 39.8 per cent of the popular votes cast in what was a four-way race. 1860 was, of course, a showdown contest where the fate of the Union was at stake. Voters in all eleven southern and soon-to-be Confederate states cast their ballots in support of John Breckenridge, running as a Southern Democrat. Lincoln’s effort to maintain the Union were not successful and the Civil War ensued then next year, with the eleven southern states, the Confederate States of America taking up arms in defense of slavery. In the 2016 presidential election Donald Trump received 46.4 per cent of the popular vote, including support of voters from ten of the eleven states of the old confederacy (Virginia was the exception). It is true he lost the popular vote to his Democratic opponent, Hillary Clinton by close to three million votes (65,844,954 to Trump’s 62,979,879). Still Trump is right in that his electoral performance was stronger than Lincoln’s in 1860. So, what appeared to be the current president’s ridiculous boast turns out to have been correct. 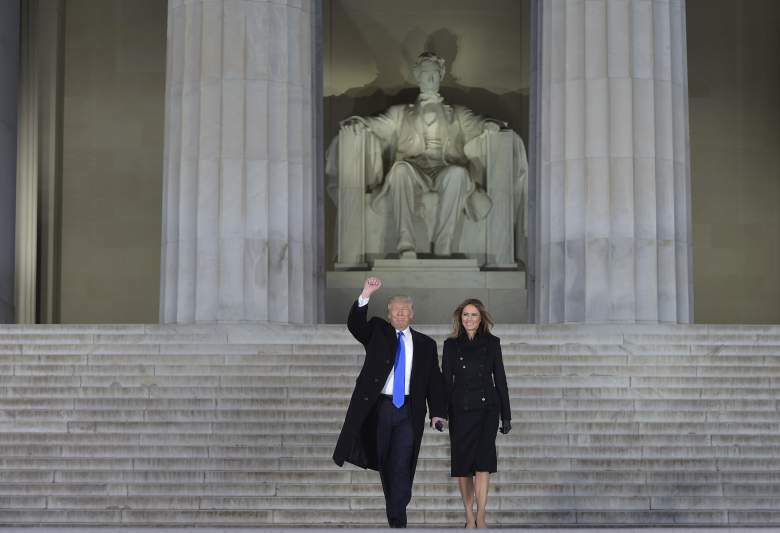 Trump is now more popular than Lincoln in 1860! Abraham Lincoln is widely regarded as the country’s greatest president (at least outside the South), rivalled only by George Washington and, in more progressive circles, by Franklin D. Roosevelt. Lincoln earned this reputation largely because of his commitment to national reconciliation and bringing about the end of slavery. Trump’s ascendance, on the other hand, has been based largely on his exploitation of the country’s racial and social divisions. Instead of seeking to bind up the nation’s wounds the Trump candidacy succeeded in large measure because of his willingness to promote their festering and the support he received from the country’s new and noisy ‘alt-right’. Nevertheless the country’s current president is right in claiming he is more popular than Lincoln, though probably not as popular as his GOP predecessors Eisenhower, Nixon, and George Bush at the height of their popularity. Dr Leonard Weinberg is a Senior Fellow at CARR and a Foundation Professor of Political Science Emeritus at the University of Nevada.